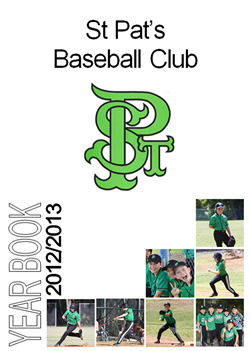 A Year Book is produced each year to showcase the junior and youth baseball players of the club. This Year Book has evolved over the years to encompass both junior and senior material and other relevant club information, so it is essentially a broad review of the club as a whole. For this reason, a record of past Year Books can now be found under the Club Info menu. You can access past Year Books by clicking here.